What We Do in the Shadows is a New Zealand horror comedy mockumentary about four vampires who share a house together. It’s directed and written by Taika Waititi and Jemaine Clement who also play Viago and Vladislav in the movie. This is Viago. He likes not getting burned by sunlight, cleaning, music and younger women. 379 years old. Viago cutely checking to see if it’s safe to open the curtains. Next, we have Deacon. He is a cool guy who can be a bit hot-tempered. He hates doing house work, especially the dishes. Deacon telling the audience how he became a vampire. 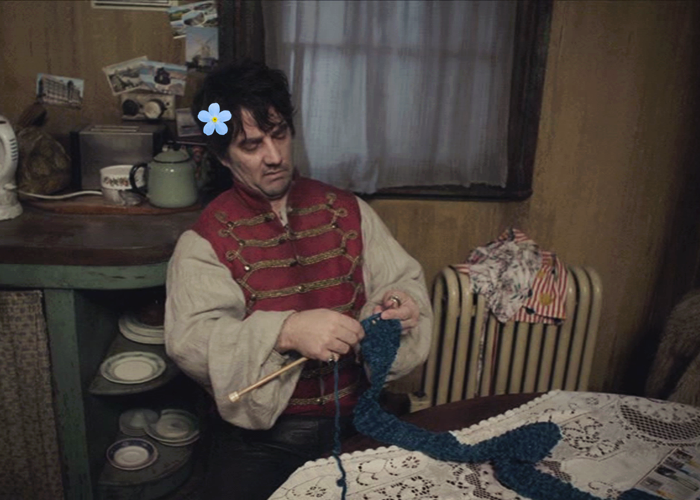 He loves knitting and scaring his victims before he eats them. 183 years old. Our next flatmate is called Vladislav aka Vlad the Poker. 862 years old. Always remember to knock. He can be… busy. He is also, as you can see, fabulous. Vlad likes poetry, painting and taking selfies. 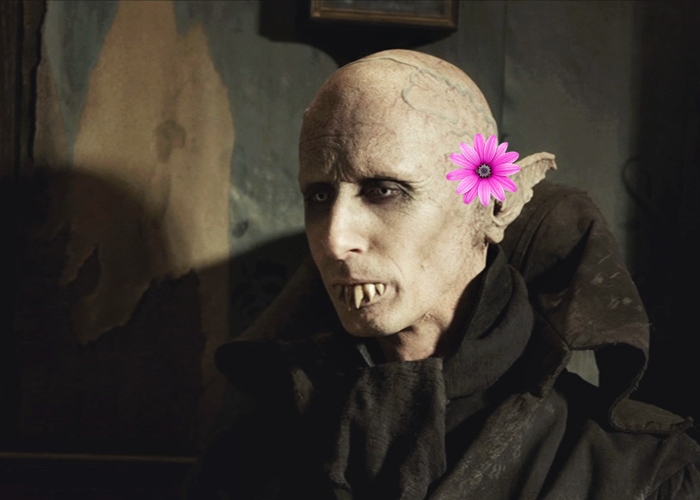 Here’s my personal favorite, Petyr. 8000 years old, old-fashioned, likes chicken. He’s a bit messy but practical. He doesn’t really say much but just look at him. One of the best things about the movie is that it’s hilarious but also it introduces very likeable characters who fit well together. The use of illustrations and photos instead of flashbacks is simplistic but it works. Physical comedy and delivery are the strong suits of the actors, who know exactly what to do to make you laugh. Deacon dancing for Viago and Vlad. For me, every scene the others interact with Petyr is the best. I recommend you see the movie. It can surprise you with its heartwarming and cute moments. You’ll laugh a lot as well. It’s one of those movies you’ll be quoting with friends for a long time. Now go and see it if you can because it will make you happy! I really enjoyed this take on the vampire genre. I thought they were able to make the vamps more than just hedonistic blood drinking devils. I’ll see anything with Jemaine in at, so seeing this was never a choice. A lot of humor, but not too broad. Well worth it. I just saw this movie and really enjoyed it.